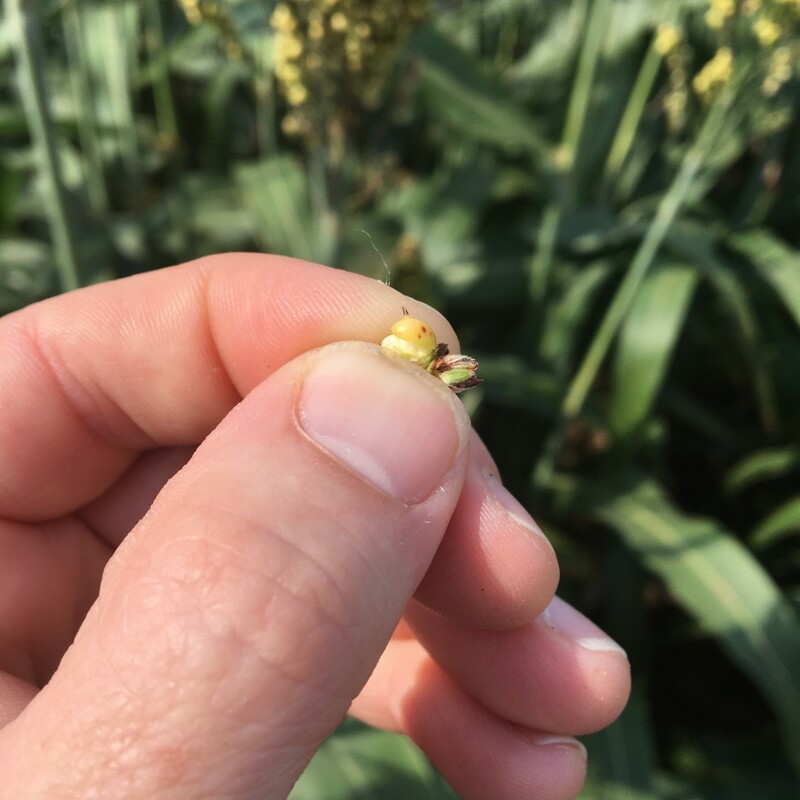 We have a good bit of grain sorghum in the county and some is starting to head and the rest has already flowered and moving to dough stage in the grain. 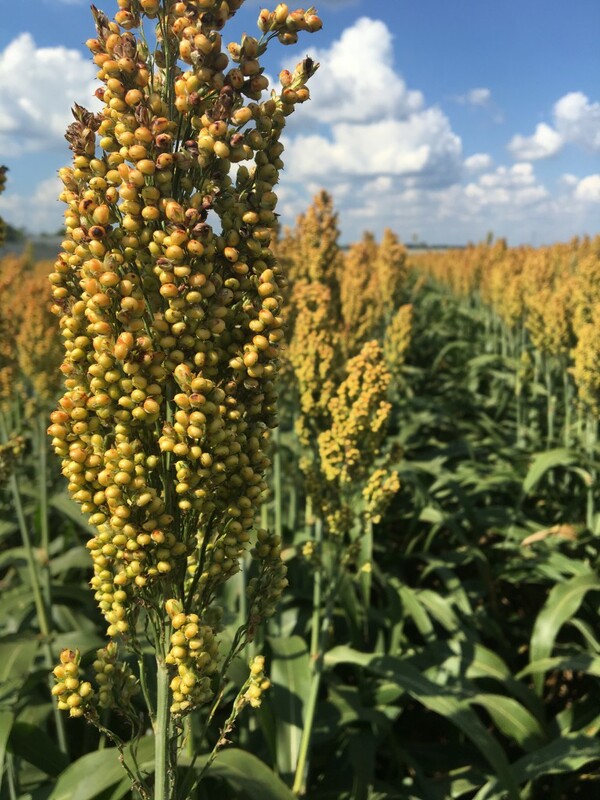 This sorghum was planted after watermelons and looking great. 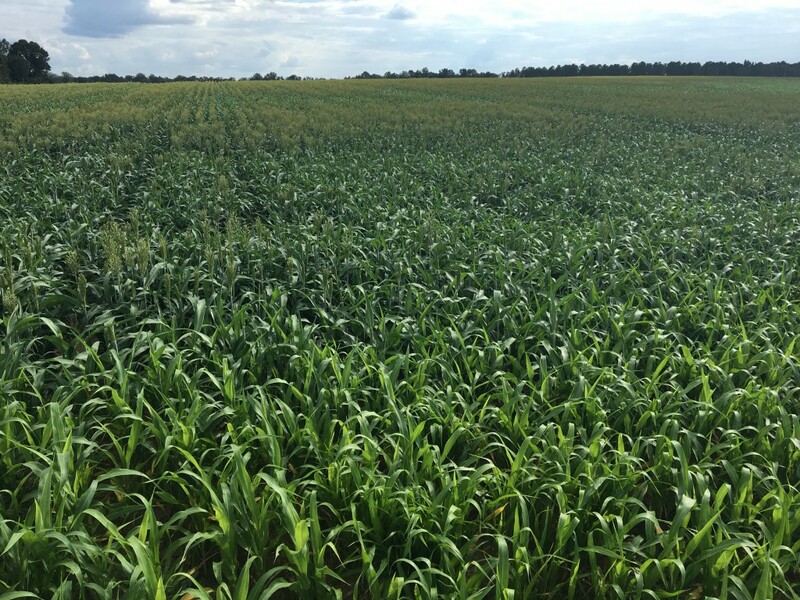 These are 15 inch rows with two different plantings because of rain. It’s starting to head out now, but is very early heading. Only a few spots uniform. 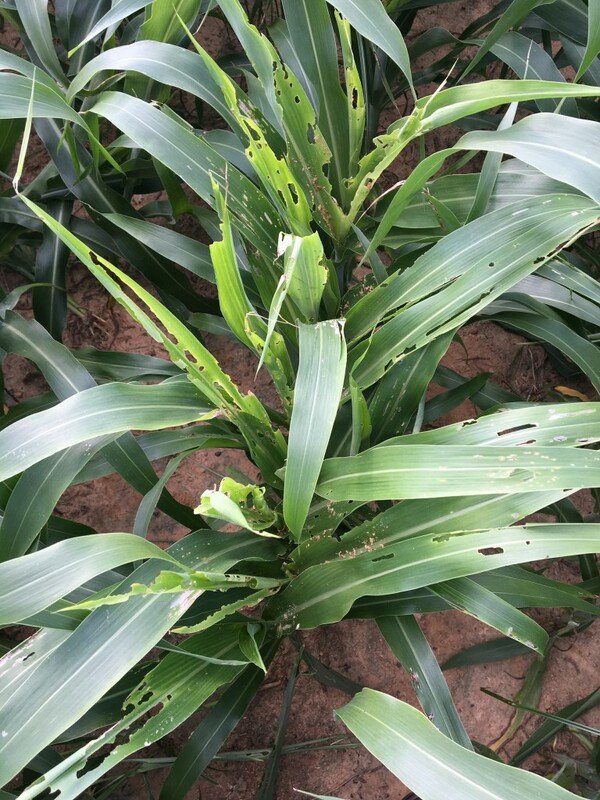 Sugarcane aphids were a bid deal in grain sorghum when was working further southwest. We have not seen any aphids so far with none in the field yesterday. 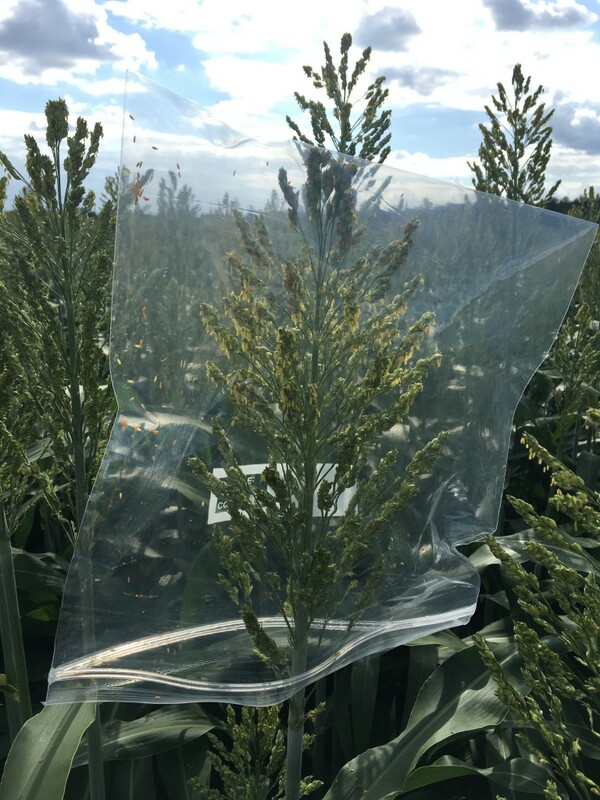 This is good news and will actually help our management of sorghum midge. We are having some caterpillar damage now on younger sorghum. Sorghum midge is probably the most common insect pest at heading. It’s a small, orange or reddish fly. 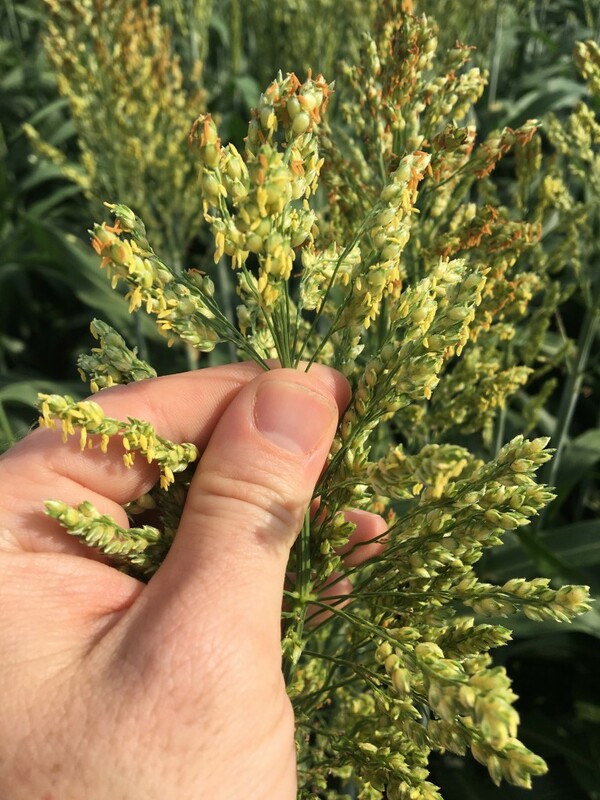 Keep in mind, grain sorghum flowers from top to bottom. Midge can be more difficult to scout for. Once grain heads come out, we need to be looking for midge. It starts flowering right when the head comes out. You know it’s flowering when you see the yellow anthers. This is the only part susceptible to midge. Once they turn orange, it is no longer susceptible. Basically, the glume opens to put our yellow anther to pollinate, and the midge lays an egg inside there. Sorghum susceptible to midge at flowering. Heads flower from top to bottom. Posted in Grain Sorghum, Insect. Bookmark the permalink.